Please note: The tour price does not include National Park fees, daily permits or ferry fees. An additional $60 per person is required to be paid at the commencement of the tour. Anything you need for an overnight stay, plus sunscreen, swim wear, towel and a water bottle. Please note that due to restricted space, luggage is limited to one over night bag per person. If you have large luggage with you, please store it at your accommodation for the duration of the trip. Luggage is limited to one cabin luggage size bag per passenger. Large backpacks and suitcases are subject to a $10 fee. 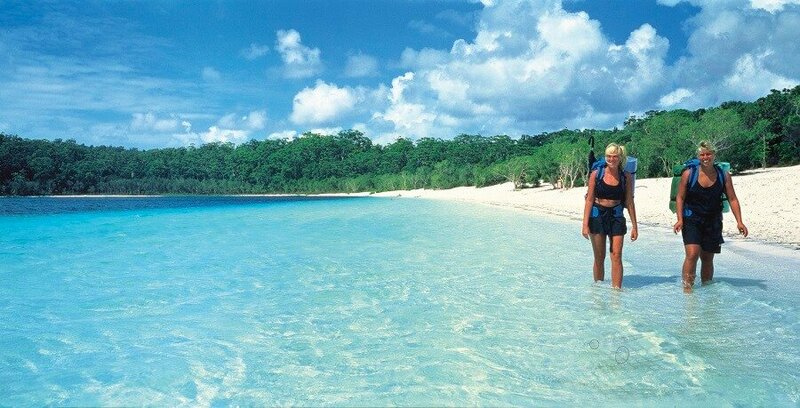 Discover the unique beauty and wildlife of Fraser Island on this two-day camping safari. Departing from Brisbane, Noosa and Sunshine Coast, our 2 Day Fraser Island Day Tour begins as we head north to the Glasshouse Mountains, Caloundra and the Sunshine Coast to Noosa River Ferry. 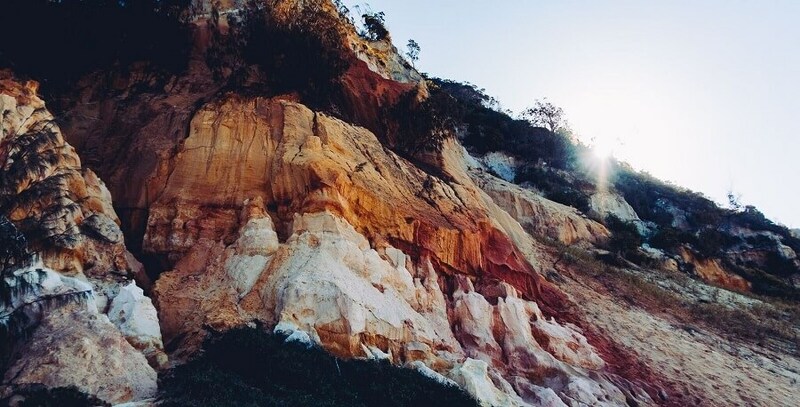 Further up north we’ll find Double Island Point, where you’ll get an opportunity to take an Instagram perfect photo of the Point Lighthouse and the famous colour sands of Rainbow Beach. Relax by the beach and enjoy your freshly made picnic lunch. 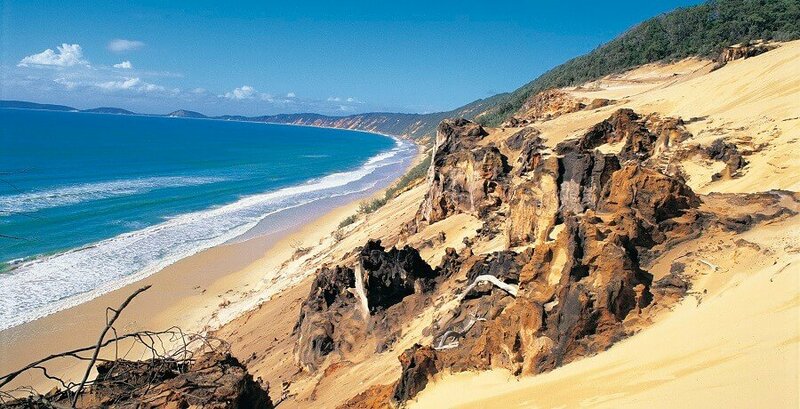 We then head to Inskip Point beach and Fraser Island Lookout, where we will board a ferry into the World’s Largest Sand Island, Fraser Island. Then it’s on to discover the impressive beaches of the stunning island. Keep an eye out for wondrous marine life on the 75 Mile Beach including dolphins, dugongs and sea turtles as we continue to explore the breathtaking spots long the island’s west coast. Continuing our journey up North where we will make a pitt stop to Lake Wabby in the afternoon to catch a glimpse of the turtles and fish in Fraser’s deepest lake. Enjoy a dip in the green waters of Lake Wabby, relax on the warm sand and take a hike in the lakes famous sand hill with a walk-through melaleuca and cycad forest. Our adventure continues back to the 75 Mile Beach to venture towards Eli Creek and the famous Maheno Shipwreck. In the afternoon, we’ll travel to Govi Creek where we will be settling in for the night, followed with a BBQ dinner to relax your way through the afternoon. With a campfire, walk and entertainment, you’d be sure to quickly settle in for the night. We wake early on day 2 of our adventure, to get a glimpse of the breathtaking sunrise over the ocean and surf beaches over Fraser Island. Enjoy a relaxing stroll along the beach or if you’re feeling a little adventurous in the morning take a hike before breakfast, or simply enjoy sleeping in surrounded by the lush temperate forest of Fraser Island. After breakfast spending the morning soaking in the magnificent views of the beaches and wildlife of Fraser Island. 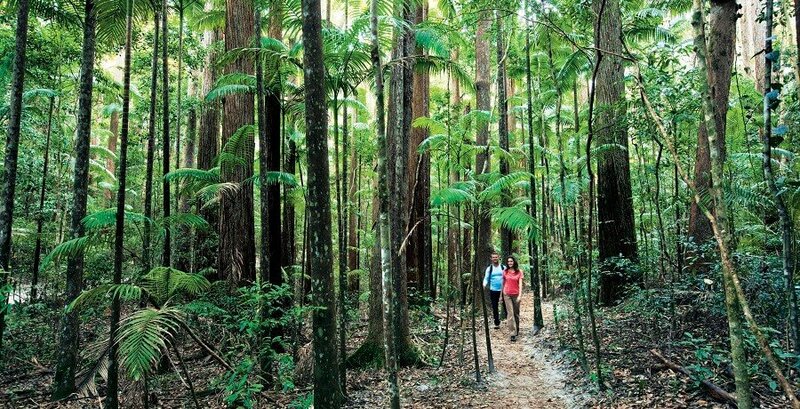 Grasp the view of the giant King Fern, world heritage satinay forest and crystal-clear waters of Wanggoolba Creek, located between Picabeen Pals and Central Station. After two days filled with packed of adventures, we then make our return back to Hook Point where we would conclude our 2-day adventure back to Rainbow Beach, Noosa and Brisbane. 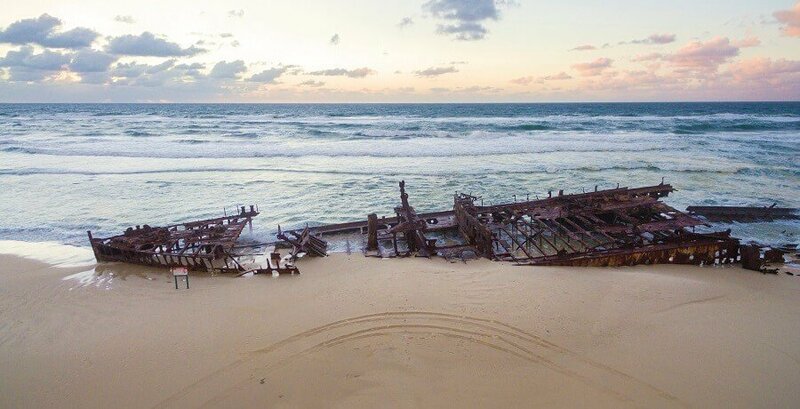 This 2 Day Fraser Island Camping Tour is a great way to get to know the area and to learn more about the famous wildlife that is so iconic in Australia. 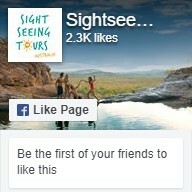 Why not check out our other Fraser Island Tours?